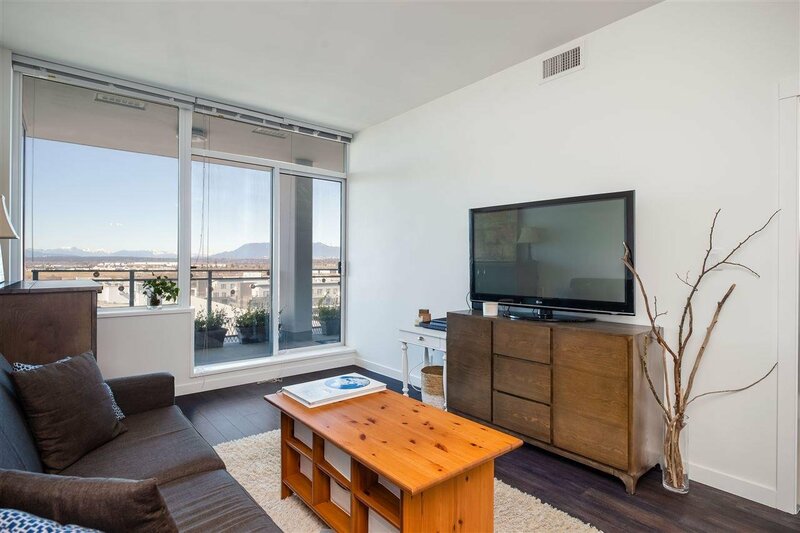 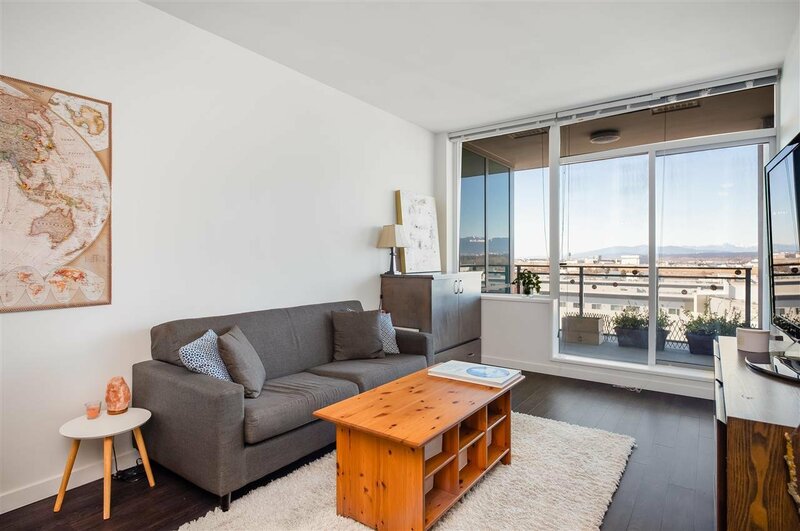 Penthouse 1 bedroom 1 bath 597sf unit with a NW mountain view and watch the planes land! 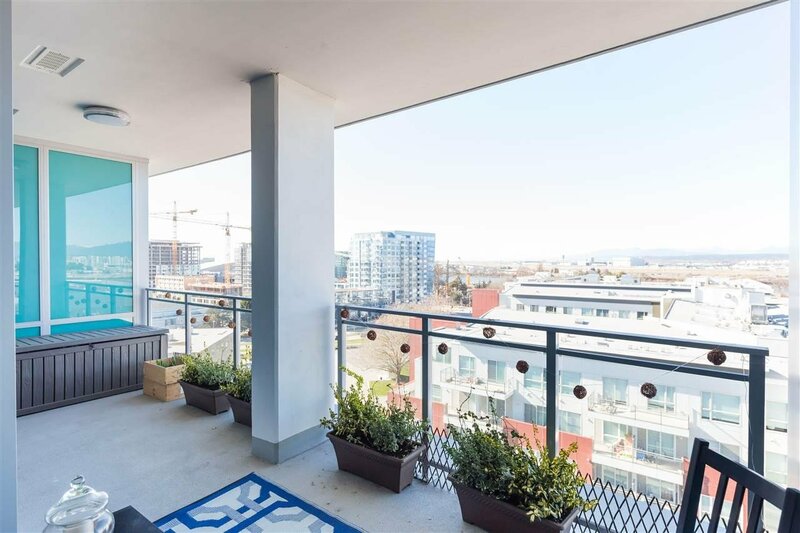 Step outside and enjoy a surprising spacious 175sf balcony. 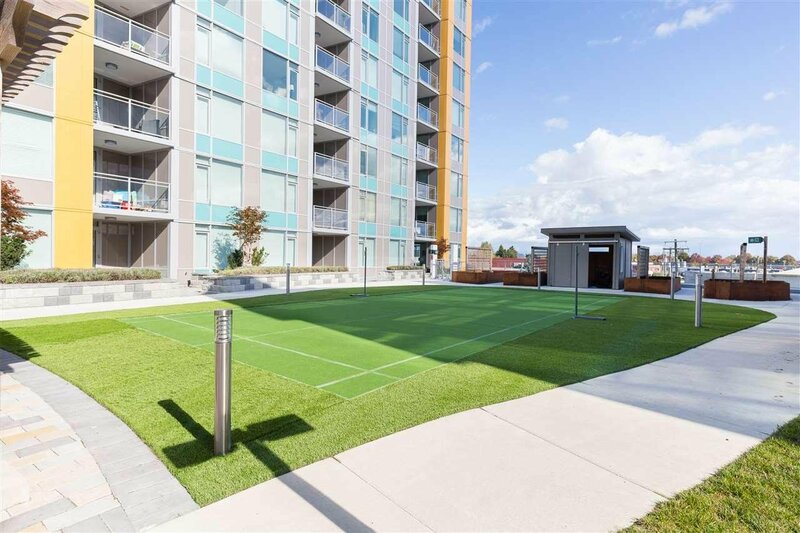 This is Tempo by Canadian developer Amacon. 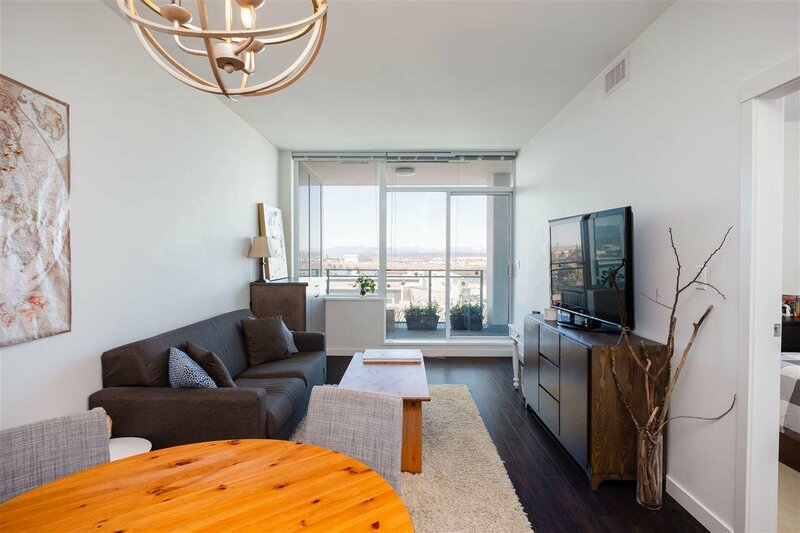 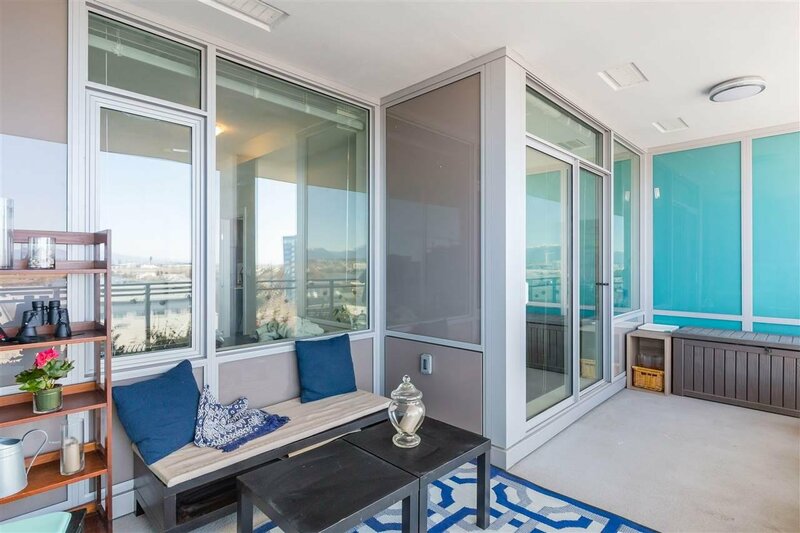 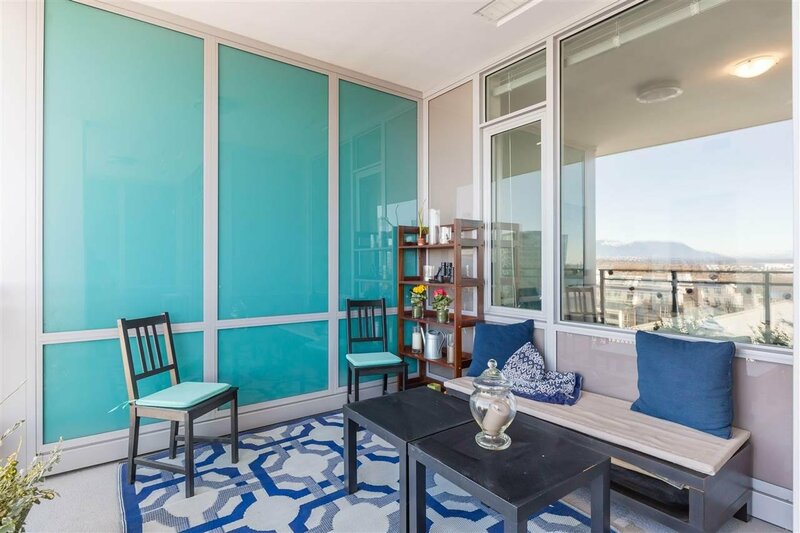 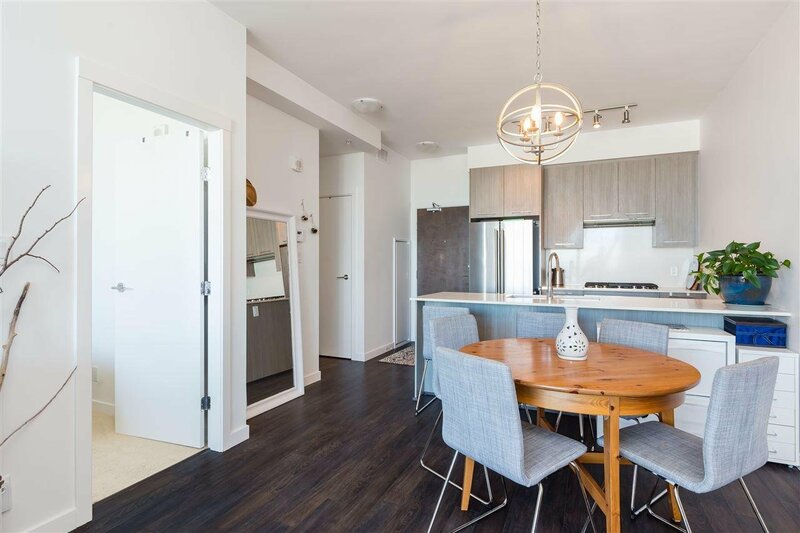 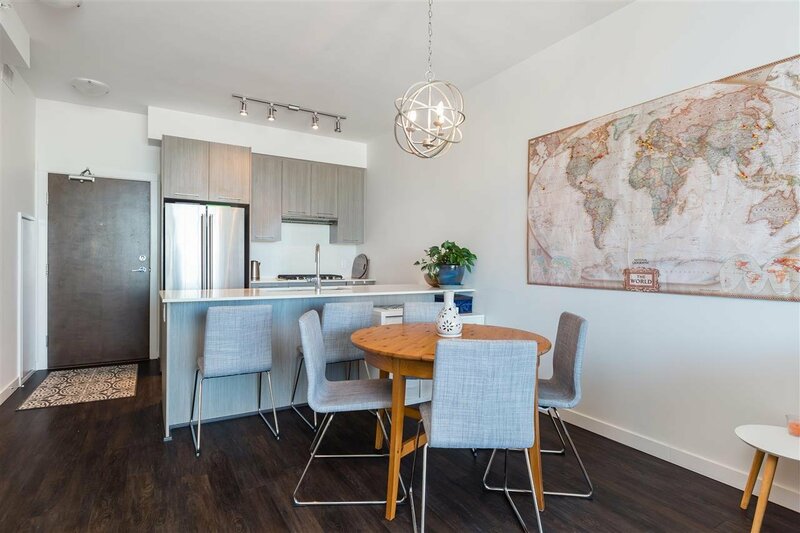 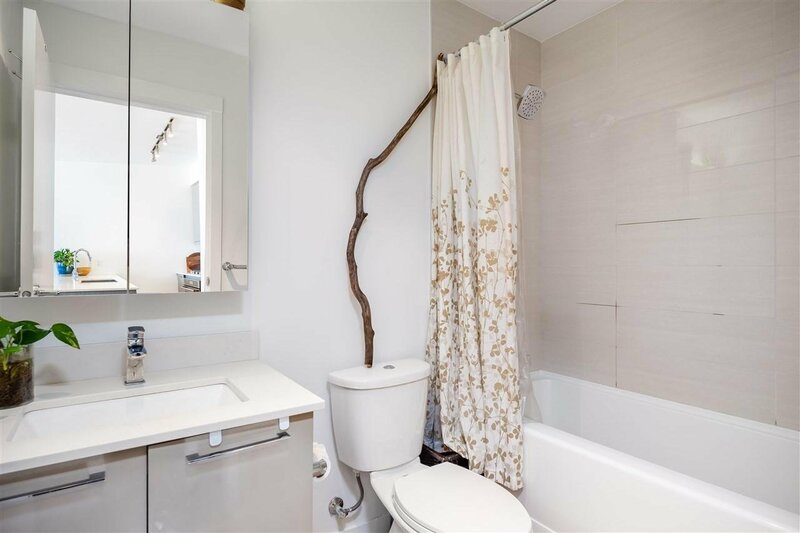 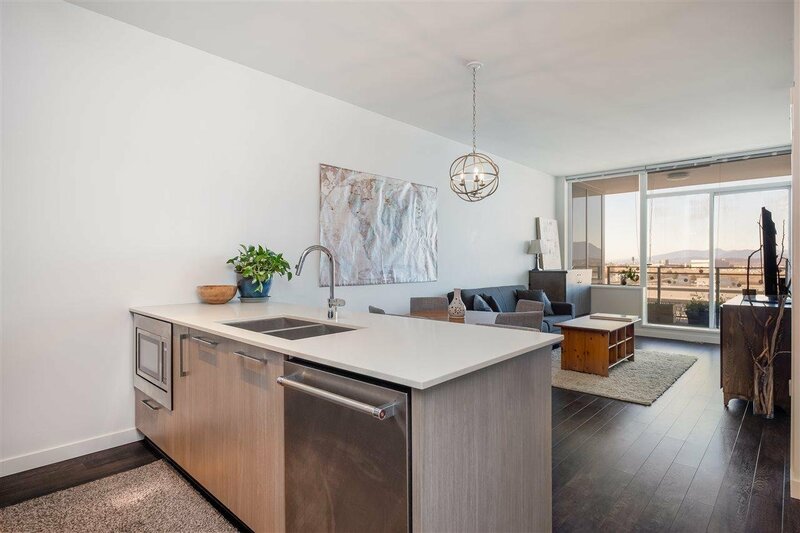 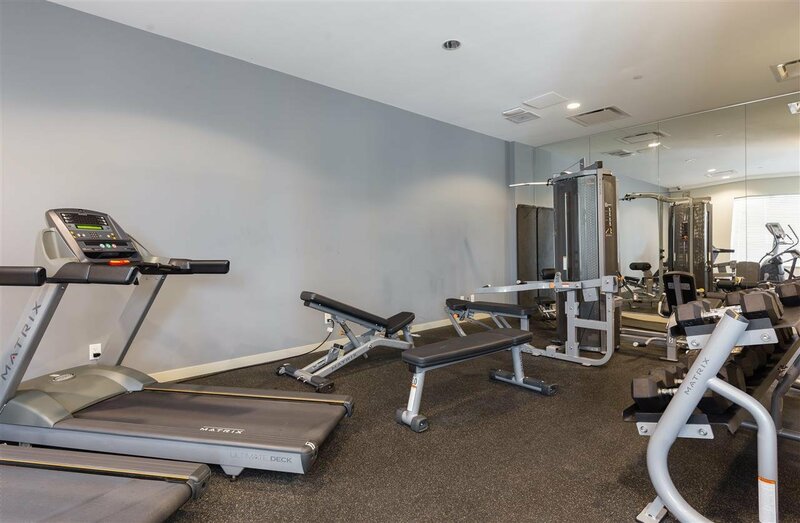 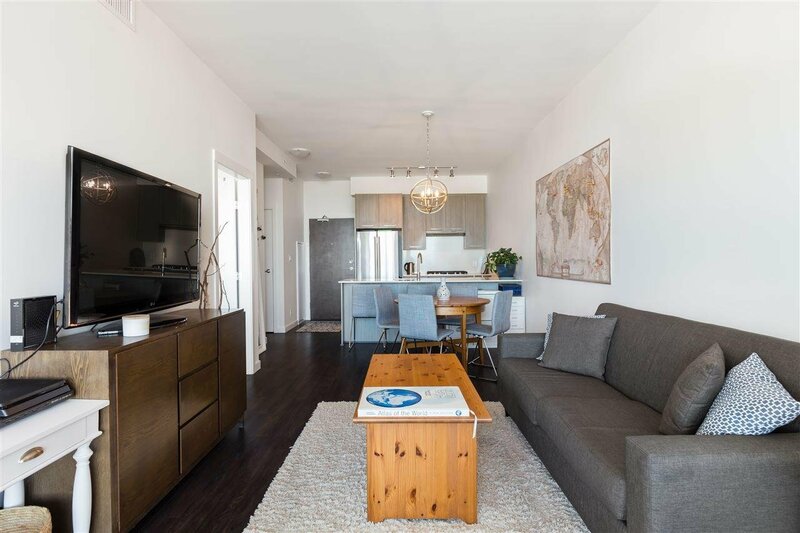 Exceptional 9+ft high ceilings make this unit light and airy. 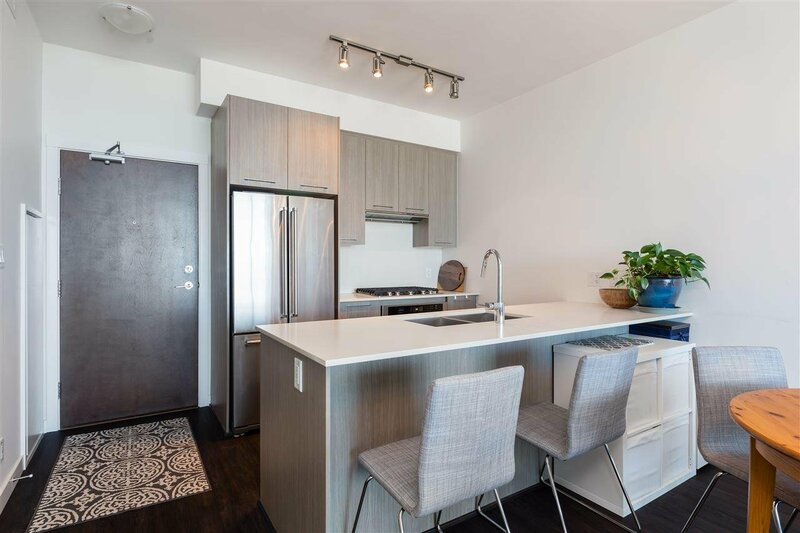 Comes with air conditioning, full size KitchenAid stainless steel appliances, 6-element gas range, stone countertops, wide-plank laminate floors. 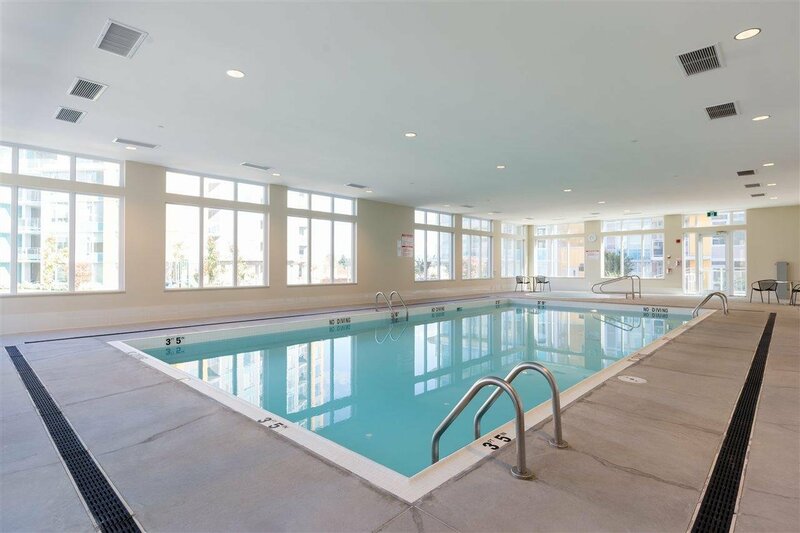 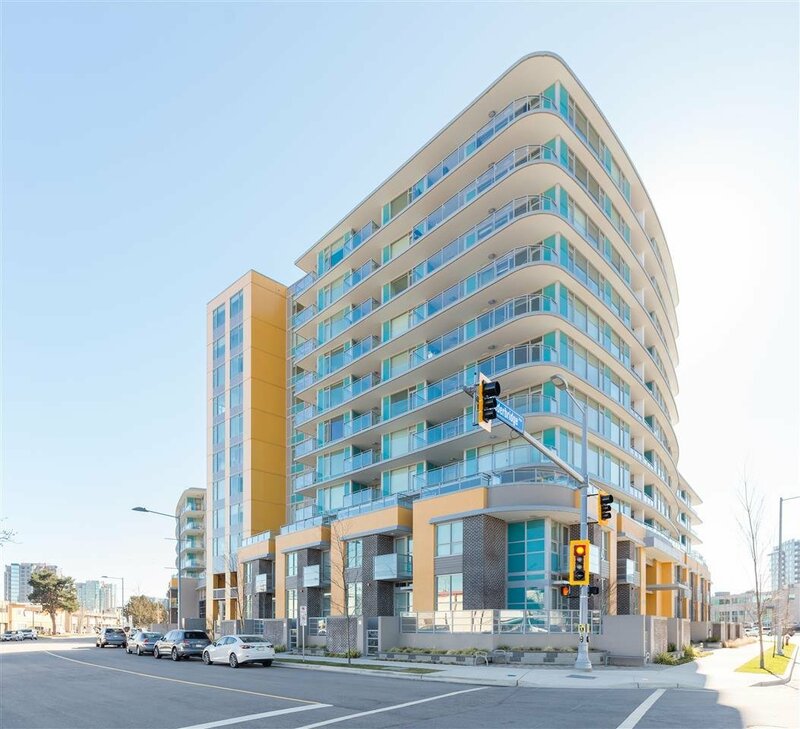 Amenities include indoor swimming pool, hot tub, fitness centre, lounge, outside badminton court, central courtyard podium, play area and dance/yoga studio. 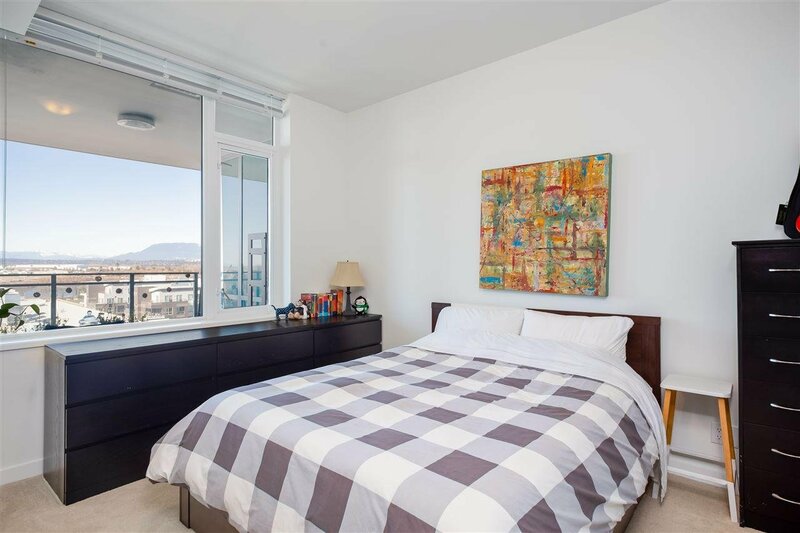 Close proximity to the Oval, T&T restaurants, banks and essential services. 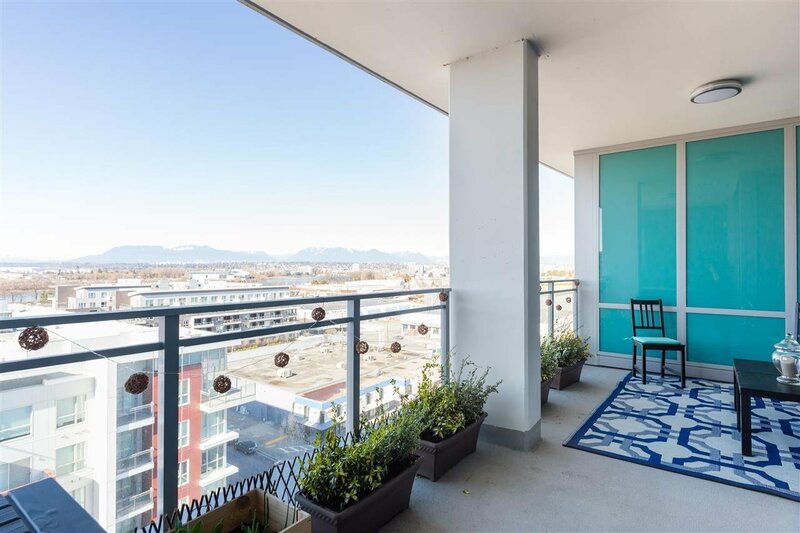 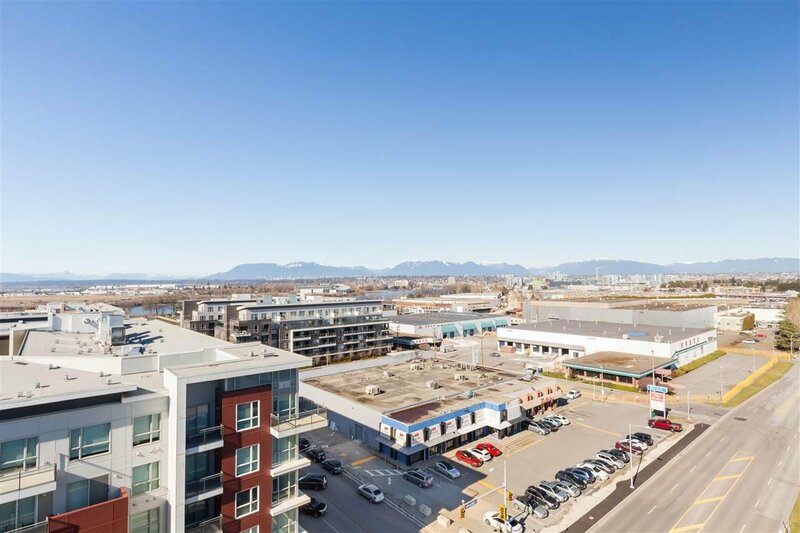 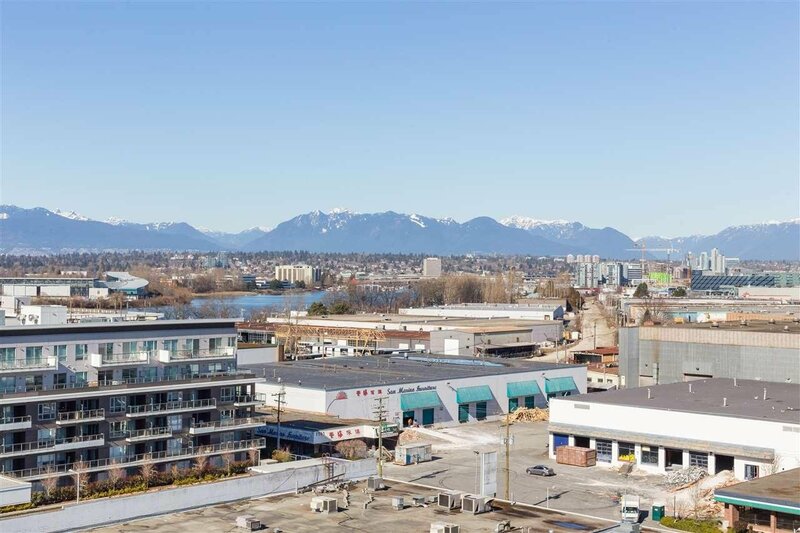 Approximately 500M from the Lansdowne Canada Line station.